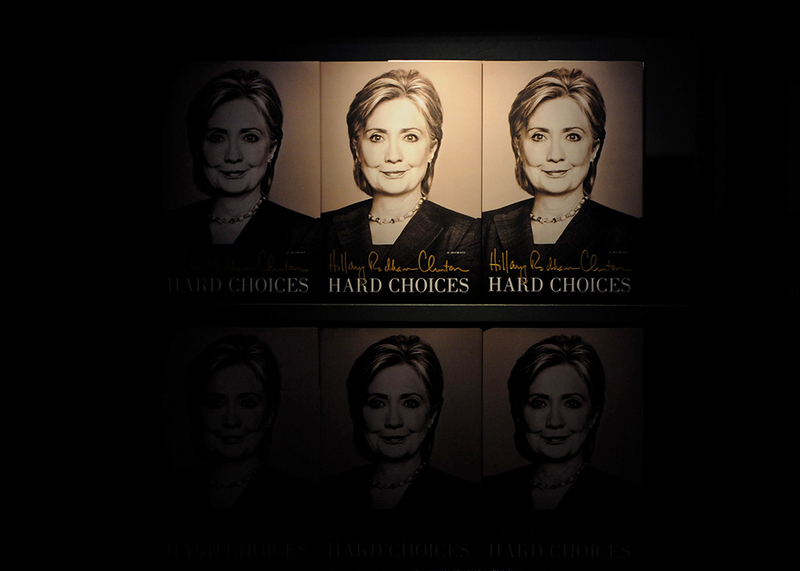 An election day that started early and went well into the next morning, gave us many visual moments of intrigue. Here are a few that the Courant photographers captured. Godzilla, the iguana missing since July 28. 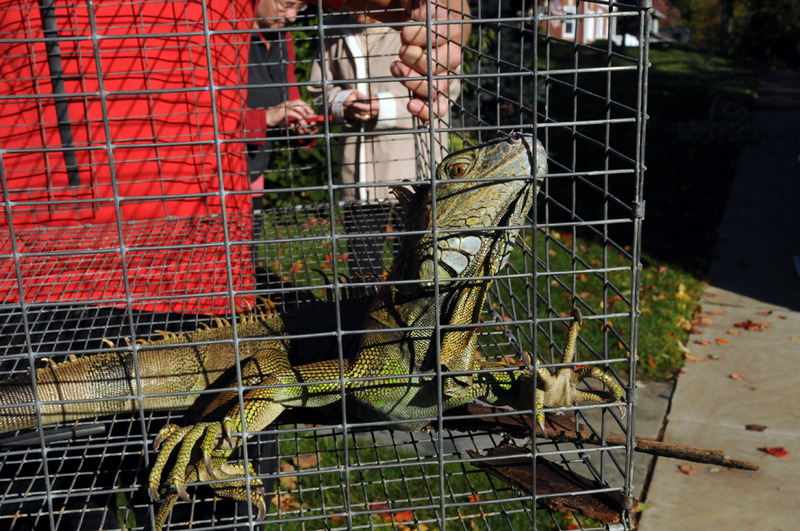 West Hartford firefighters rescued Godzilla, the iguana missing since July 28, who was high in a tree on Lemay Street Wednesday morning. Godzilla, owned by Andrew Frazer of Riggs Avenue, was spotted in the road by neighbor Gregg Gabinelle before he scurried up a tree, Frazer said. West Hartford firefighters Matthew Lyons and Lt. Jarrad Smith worked together to get Godzilla in a cage and then reunited him with Frazer, who “couldn’t be more happy.” Frazer noted that the rescue was just in time as the days are turning colder — not a good thing for an iquana. Obsessed. That’s what Russ Magnuson and his small group of volunteers are when it comes to the Goodyear ZNPK-28 Blimp Control Car at the New England Air Museum. His crew has logged 21 years and close to 24,000 hours to date working on the rare airship. And they still are not done! This is the only WWII configured K28 blimp car in the world. 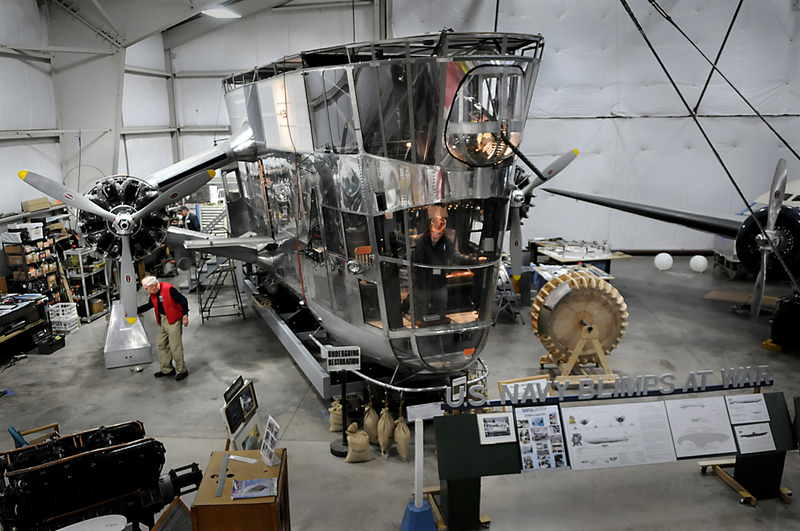 The Goodyear ZNPK-28 Blimp Control Car that has been undergoing complete restoration for the past 21 years at the New England Air Museum. 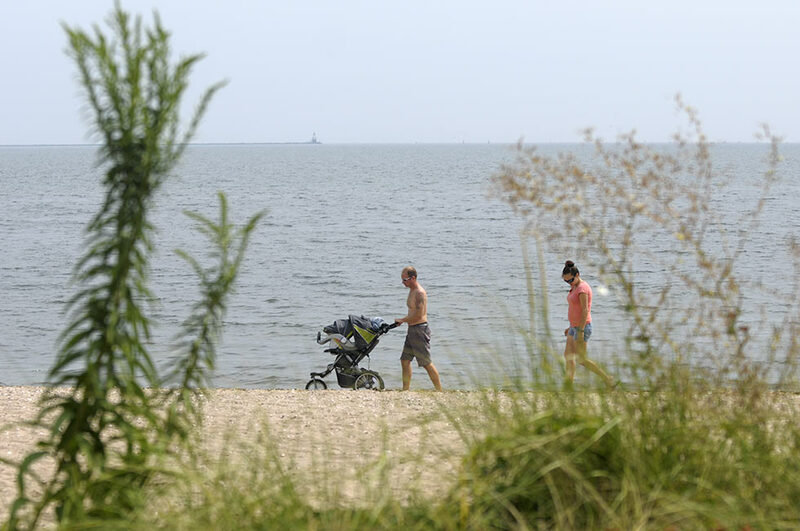 A visit to Faulkner’s Island located 3 1/2 miles offshore from Guilford Harbor is a rare event. The whole island is a wildlife preserve and the public is only allowed several times a year during open house sessions. 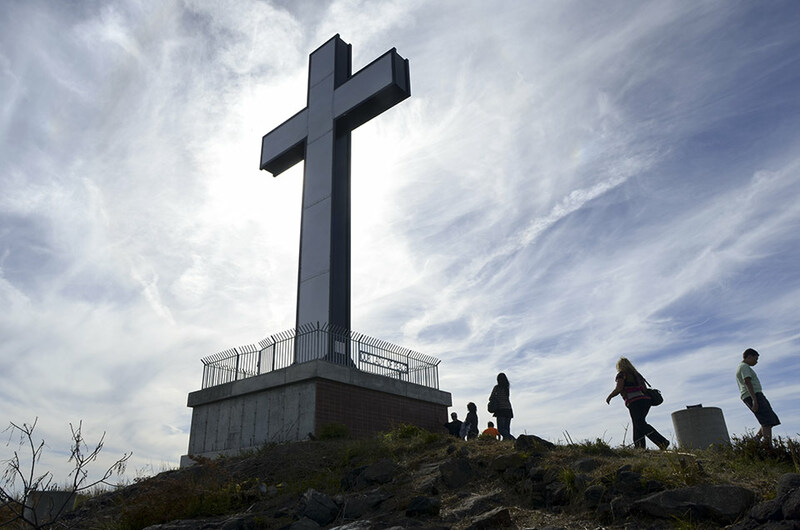 The highlight of the 3 acre island is the lighthouse that rises 90′ above the waters of Long Island Sound. 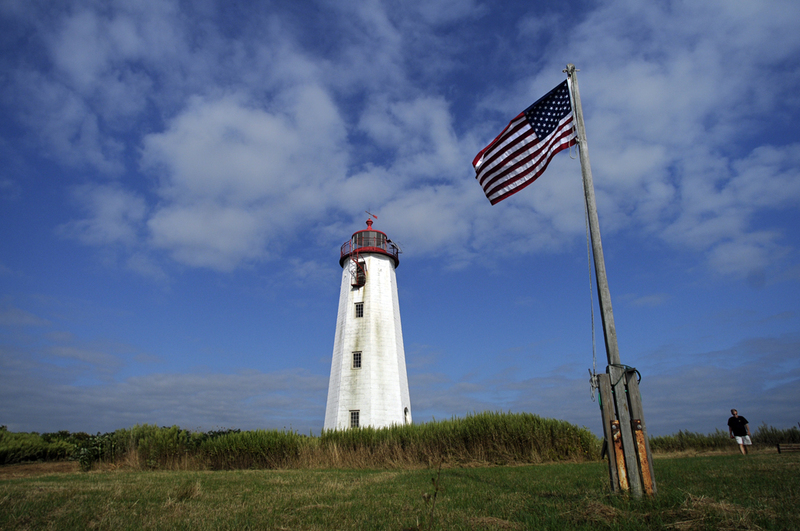 The Faulkner’s Island Lighthouse, built in 1802, is the state’s second oldest lighthouse tower, and is the only active light station on an island in the state. Bill Lincoln of Guilford, right, is treasurer of the Faulkner’s Light Brigade, a group that is charged with the care, education and preservation of the island and it’s lighthouse. As the late summer sun sunk low in the sky, a flash mob of about 280 guests dressed all in white converged on a vacant lot on Main Street in Durham Sunday evening for An Evening In White, a fundraiser to benefit the United Churches of Durham and the local food pantry. 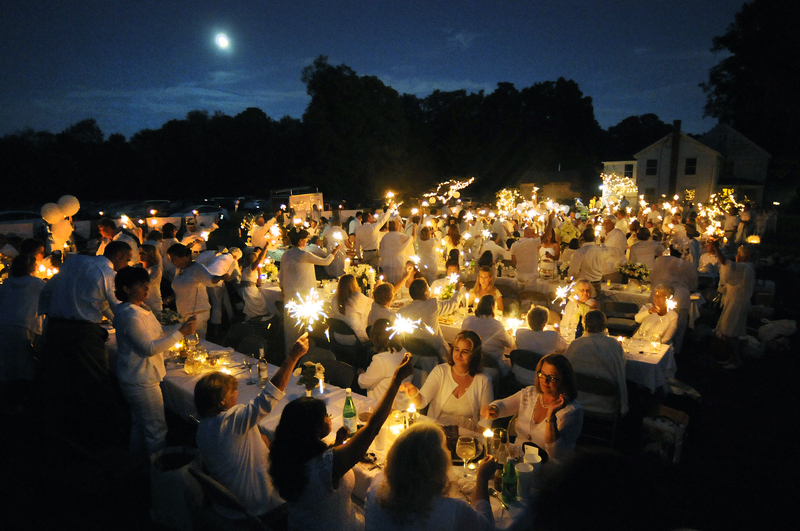 The event was inspired by Diner en Blanc, which originated in Paris in 1988, according to Lisa Davenport, one of the organizers. Guests were instructed to bring their dinner, china, silverware, drinks and centerpieces and the organizers provided tables, chairs and table linens. The location was not disclosed until a few hours before the event, creating an air of spontaneity and excitement. FoxCT’s Tony Terzi served as master of ceremonies and live jazz was provided by the Jack Riotte Trio. Goshen again played host to one of the premier country fairs in Connecticut on Labor Day weekend. 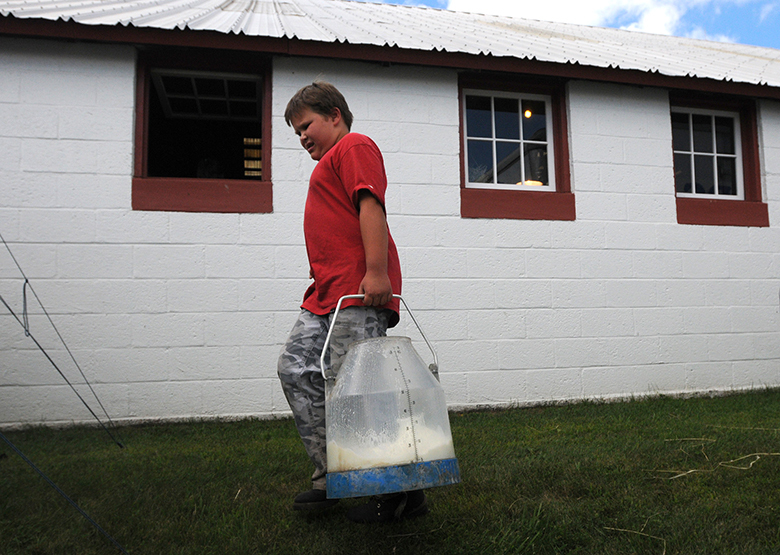 Goshen, CT – 08/30/14 – Connor Johnson, of New Milford, carries fresh milk at the Goshen Fair Saturday. Photos by Brad Horrigan. “Kvitova will win in straight sets,” said the New York Post photographer sitting next to me before the match even began. He was right. No contest. Petra Kvitova beat Magdalena Rybarikova in the Ct. Open singles finals, 6-4,6-2, held at the Ct. Tennis Center Saturday. Kvitova has now won the event twice in the last 3 years and will compete in the U.S. Open in New York this week. The two close friends played before a lower than average crowd of 3,285 Saturday but overall attendance for the event was up, 47,140 from 45,796 in 2013. NEW HAVEN 8/23/14- Petra Kvitova raises her hands as she defeats Magdalena Rybarikova inn the Ct. Open singles finals held at the Ct. Tennis Center Saturday. Magdalena Rybarikova defeated Camila Giorgi in straight sets (6-2, 6-4) Friday afternoon in New Haven to advance to the women’s final at the 2014 Connecticut Open. Gov. Dannel P. Malloy launched his campaign for a second term as Connecticut’s governor Thursday making several stops throughout the state. Late in the day, he visited several businesses in the heart of New Britain’s Polish community, sampling several Polish delicacies. “But how do you stay so slim?” asked the proprietor of one establishment, as Malloy tasted some pierogi. 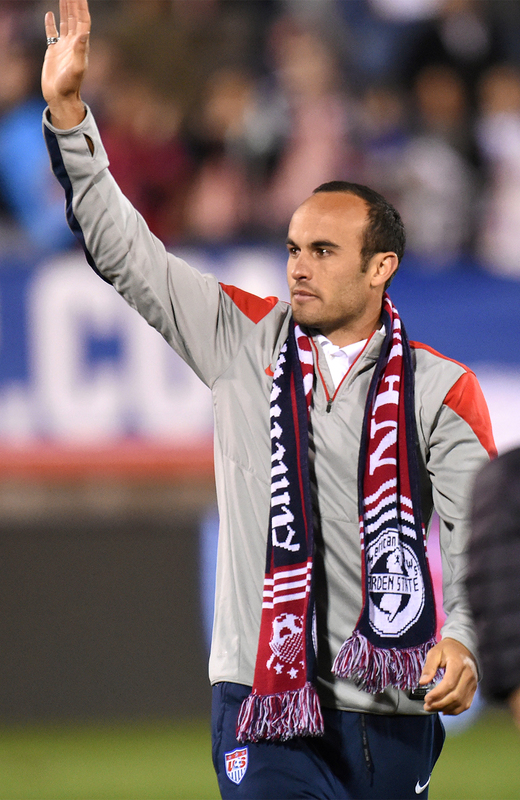 “By running every day,” he said. Mystic Seaport’s 1841 whaleship, Charles W. Morgan returned from her historic 38th Voyage on Wednesday to her permanent berth on Chubb’s Wharf at the Seaport. Under tow, the Morgan passed through the drawbridge in Mystic before 5:00 pm escorted by a flotilla of support and spectator vessels. Hundreds were on hand at the seaport to welcome the ship home. 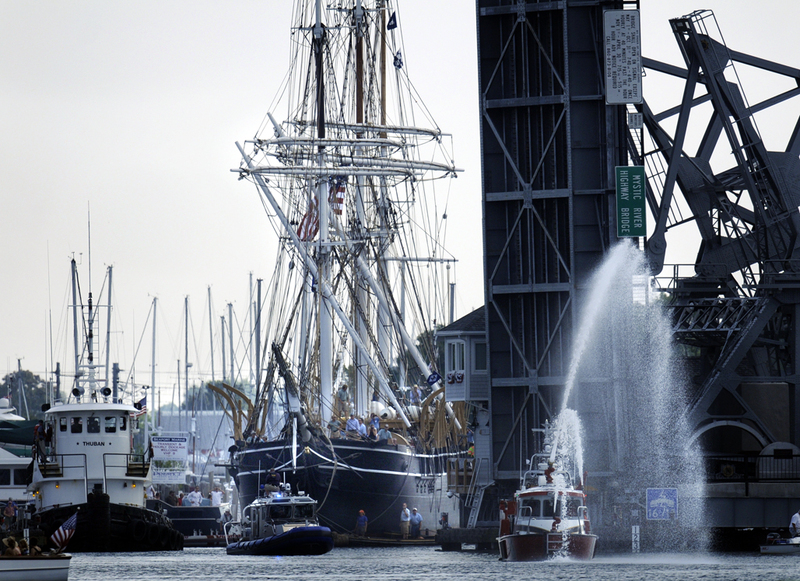 The historic whaleship comes into view while going through the drawbridge on the Mystic River on her way home. 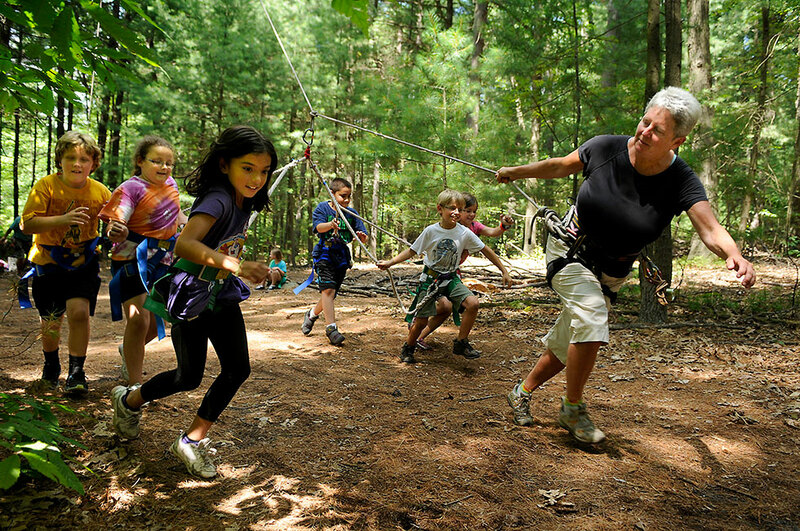 About 70 children from the age of 8 to 18 are taking part in the 2014 Challenge Quest at the Pine Lake Challenge Course in Bristol. The week long camp is sponsored by the Bristol Youth Service Outdoor Adventure Community Partnerships. LaSalle Road in West Hartford was flooded with people practicing yoga in the morning sunlight Saturday. 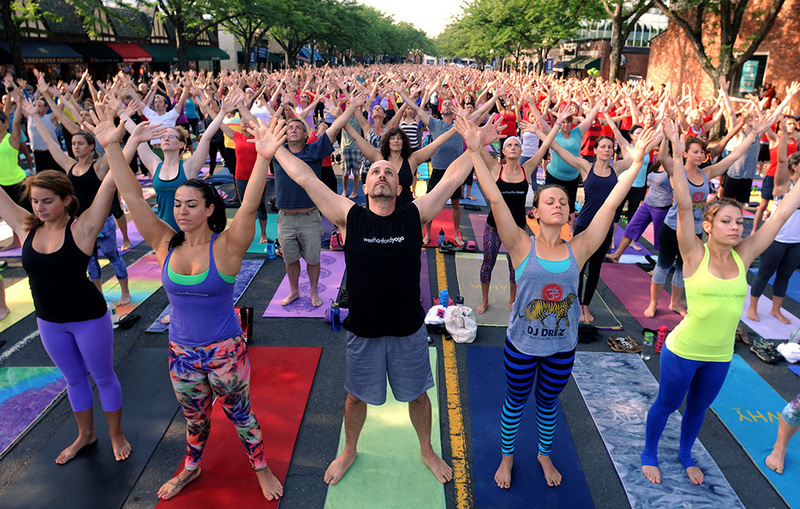 West Hartford Yoga’s “Yoga on LaSalle” keeps growing each year and around 1000 people could be seen with yoga mats on West Hartford’s LaSalle Road this weekend. 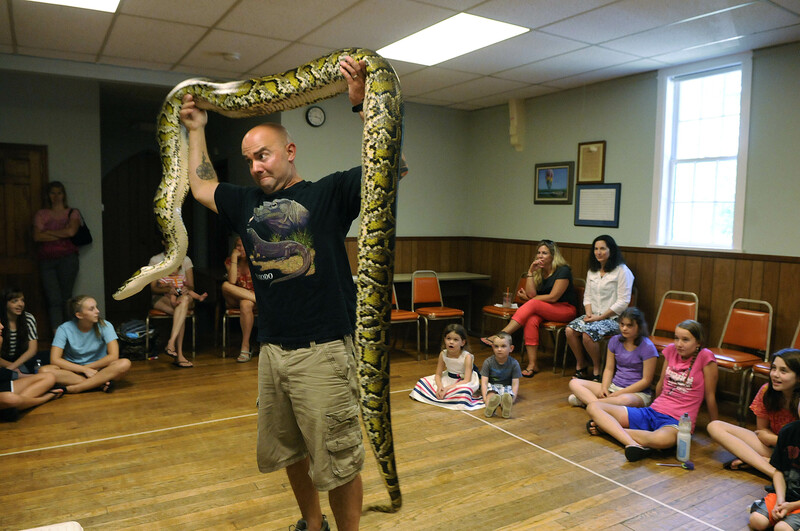 Brian Kleinman, a naturalist from North Granby, brought his live animal education program, Riverside Reptiles, on the road to the Levi E. Coe Library in Middlefield Tuesday. Kleinman brought nine animals from of his collection of 140 for his hour-long program in which children were able to see and touch a variety of common and exotic reptiles and amphibians, including a bearded dragon, native to Australia, a European legless lizard and an 80-pound Burmese python named Percy. Kleinman’s mission is “to educate people about how to better understand, appreciate, and coexist with the natural world,” according to his website, www.riversidereptiles.com. He saves Percy – the biggest and best – for the end of his show. Serving as nautical backdrops to a day of whale watching, the Charles W. Morgan and the Mystic schooner survey a flat, blue Atlantic seascape as a spouting humpback whale feeds on sand lance (also known as sand eels) within the Stellwagen Bank National Marine Sanctuary just north of Provincetown, Massachusetts on July 12. Accompanied by the Mystic, the Morgan and a small flotilla of research vessels traveled three nautical miles off the tip of Cape Cod to visit the primary feeding ground for humpback whales. 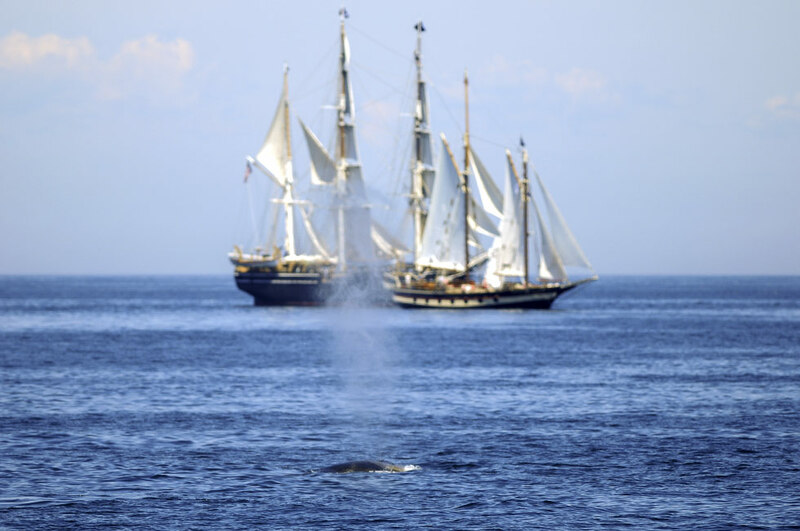 With a rich and perhaps a checkered past of whale hunting and harpooning, the Morgan has now partnered with Mystic Seaport and NOAA (National Oceanic and Atmospheric Administration) to raise awareness about the endangered humpbacks and other whale species. The Morgan will be visiting several ports of call in the Northeast this summer. Heaven has arrived in downtown Hartford. A combination of $150,000 in federal grant monies and $10,000 from the Tony Hawk Foundation has allowed a large portion of New Ross, County Wexford Park to be converted into a skatepark. 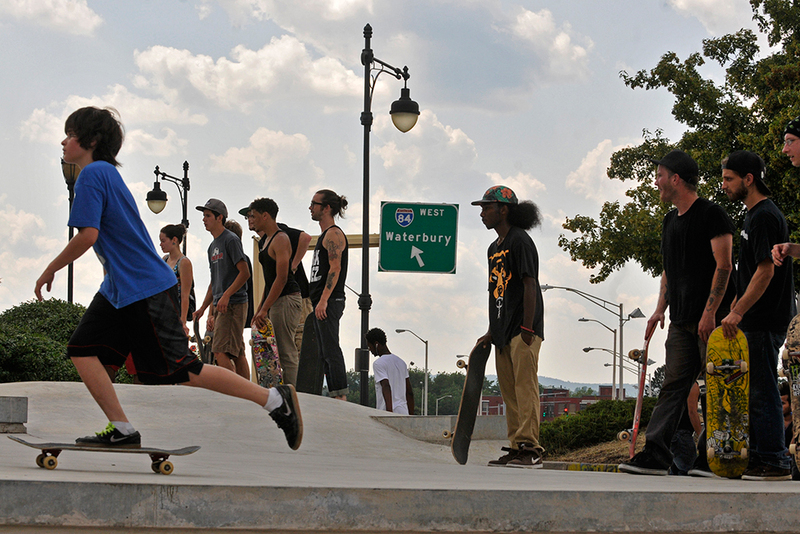 Finally, the capital city has a place that local kids can skate, perform and write graffiti. And that place is called Heaven. 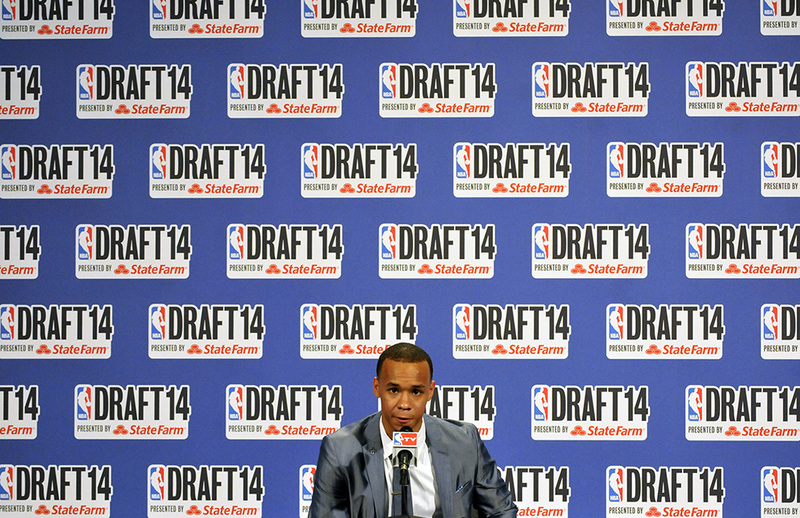 Former UConn standout Shabazz Napier knew he would be a first round selection in Thursday night’s NBA Draft, but he (like the rest of us) was unsure just when his name would be called by NBA commissioner Adam Silver. The Charlotte Hornets selected him 24th overall at Barclay’s Center in Brooklyn…but then promptly traded Shabazz to the Miami Heat, where LeBron James had lobbied for his team to draft Napier. As a child our family spent time aboard an old, wood Chris Craft and we would often tie up inside Mystic Seaport for the weekend. When all the guests had gone and the sun went down, my three siblings and I would explore the seaport and inevitably end up at the ancient whale ship, Charles W. Morgan. At the time she was a static exhibit set in sand and mud but she looked huge when I was about 10 years old. I remember looking aloft at the rigging dreaming about climbing to the top well out to sea looking for whales and other ships. Flash forward 50 years. On June 15, the venerable 1841 whaler, the only surviving wooden whaling ship in the world, left New London and began her journey up the coast of New England, to Newport, RI. I was one of the select few to be aboard to document the crew making the voyage. The ship that was once land locked in sand, has undergone a 5 year, $12 million restoration and was on her first voyage since last sailing in 1921, her 37th voyage. 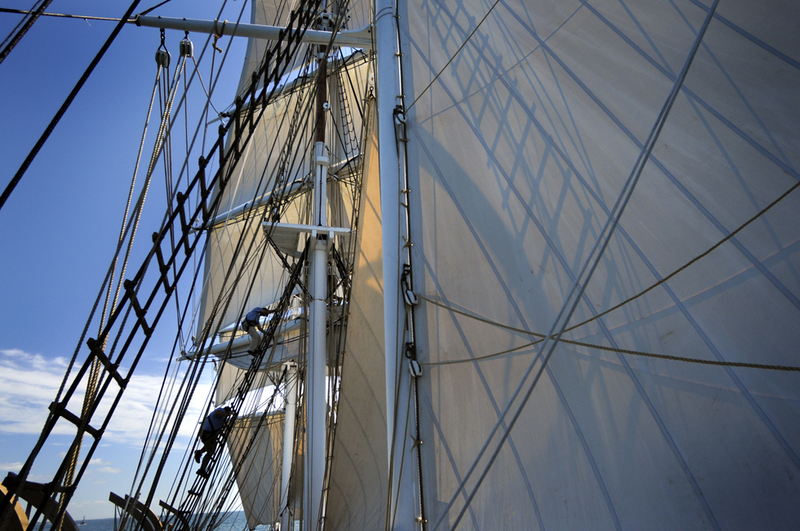 And yes, I climbed the same rigging that I had stared up at as a child. 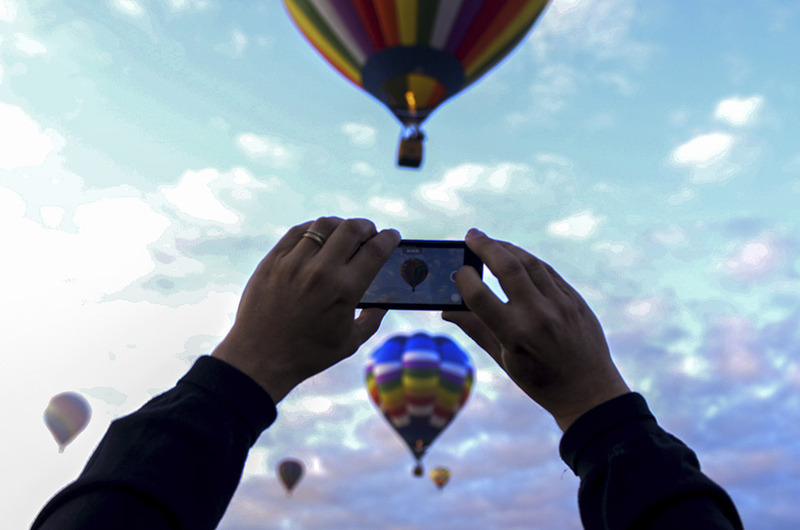 This time I was aloft to take photos but the view was awesome. The ship is now at a pier at Fort Adams in Newport and open to the public. She will then sail to Vineyard Haven, New Bedford, the Stellwagen Bank National Marine Sanctuary, Boston, and then back to New London and Mystic. 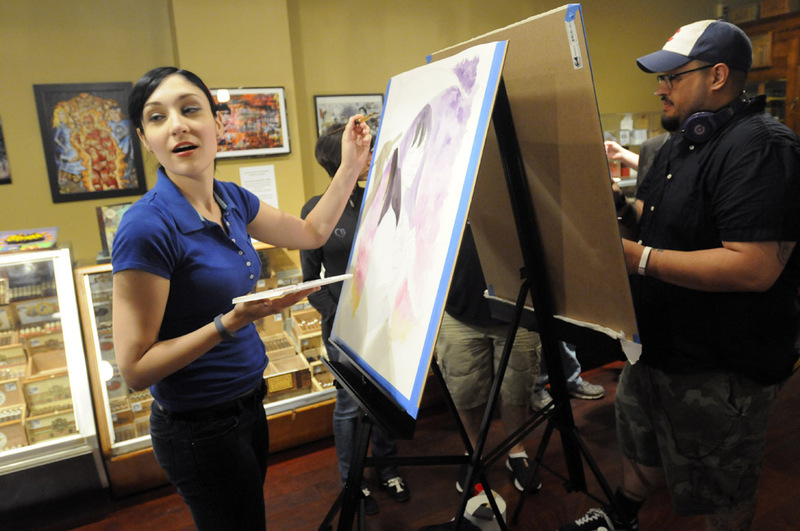 Illustrator Chrissie Zullo, of New Haven, left, a guest artist at Hartford Comic Con, which is being held through June 1 at the XL Center in Hartford, turns to talk to a visitor at the Tobacco Shop on Pratt Street Friday night where she and fellow artist Christopher Uminga, also of New Haven, right, were making art to be displayed at the shop for the remainder of the show. She was doing a watercolor of “Death,” a character from the Sandman comic books. Other artists who were slated to make art at the shop were Jim Mahfood, Kaare Andrews and Dave Johnson. Artists also created comic art with cigar boxes which came from the shop. The proceeds from the sale of the boxes, at $200 each, will go to the UConn migrant farmers clinic. proceeds from the sale of the boxes, at $200 each, will go to the UConn migrant farmers clinic. The annual Tough Man competition fundraiser at New Britain High Thursday. Two student teams, a teacher team and the U.S. Marines competed. Teams competed in strength and agility contests. Money raised goes toward equipment and other expenses for the J-Crew, a NBHS Bible club which is involved in mentoring and other community service activities. 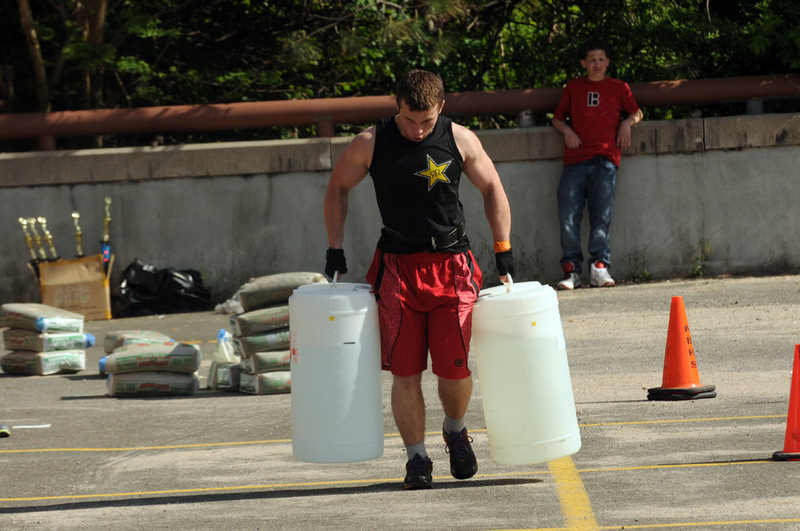 Adam Zamojski, 18, a junior at New Britain High, carries approximately 100 pounds of water in each hand during the annual Tough Man competiton fundraiser at New Britain High Thursday. Two student teams, a teacher team and the U.S. Marines competed. Teams competed in strength and agility contests. Money raised goes toward equipment and other expenses for the J-Crew, a NBHS Bible club which is involved in mentoring and other community service activities.